Turkey’s only Kurdish daily newspaper Rojnameya Welat has ceased its print edition as the printing house that publishes the newspaper was taken over by the government last week. Turkish authorities took control of the pro-Kurdish Özgürlükçü Demokrasi newspaper and the Gun Printing House following a police raid over terror charges on March 28. Gun used to print Rojnameya Welat as well. Welat said the new administration of the printing house refused to continue printing their newspaper. Several other printing houses avoided printing due to concerns over government persecution, according to the media. 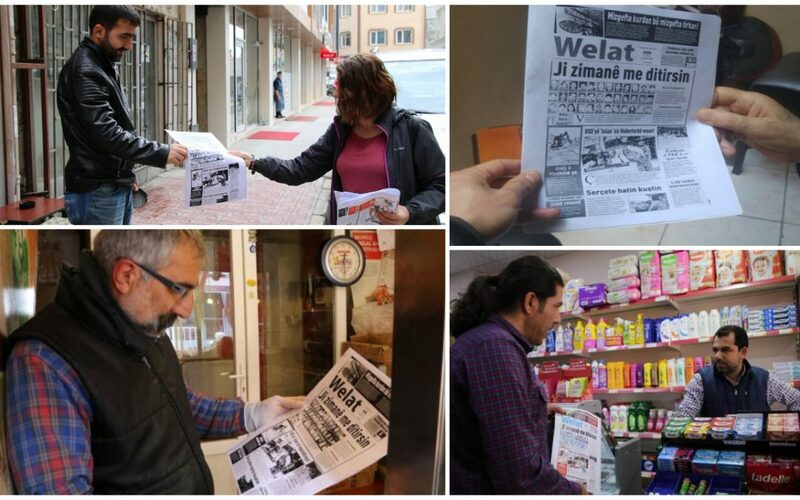 In Istanbul, Welat photocopied its Friday edition and distributed these copies to its subscribers. “I don’t remember seeing any other period in the history in which freedom of speech was blocked that much and particularly Kurdish press was subjected to judicial pressure in Turkey,” Eren Keskin, renowned lawyer and a rights activist remarked. The Turkish government seized more than 190 media outlets as part its post-coup emergency rule since the summer of 2016. Gulenist and pro-Kurdish media outlets are among those most affected.